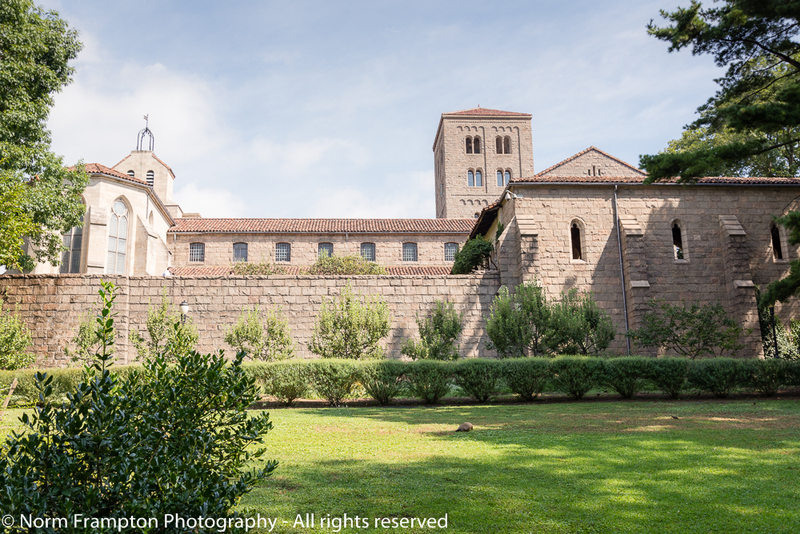 Opened as a separate branch of the Metropolitan Museum in New York in 1938 The Cloisters is dedicated to Medieval European art, architecture, gardens, and religious artifacts. 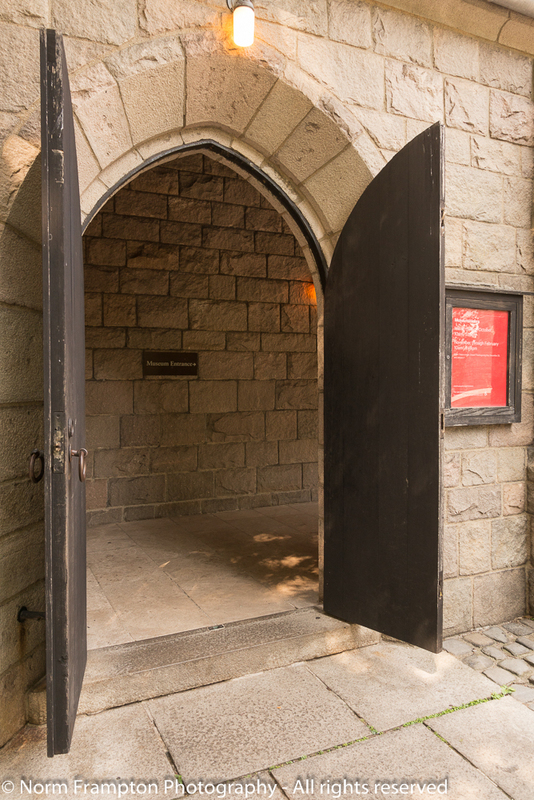 I recently had the good fortune to spend an afternoon exploring this place on the upper west side of Manhattan that offers visitors sweeping views of the Hudson river as well as an astounding collection of pieces recovered from abandoned, ransacked, and otherwise forgotten Abbeys throughout 12th to 15th century Europe. 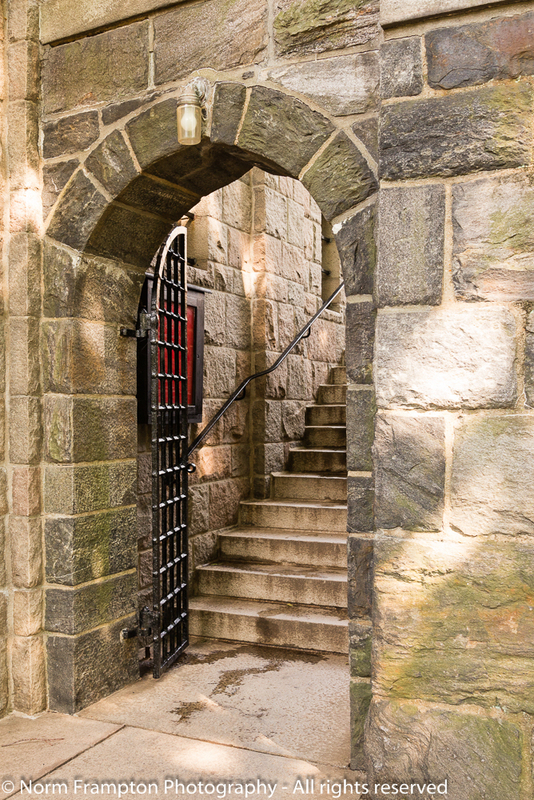 Stepping onto the grounds of The Cloisters leaves one with the feeling of having stepped back in time. 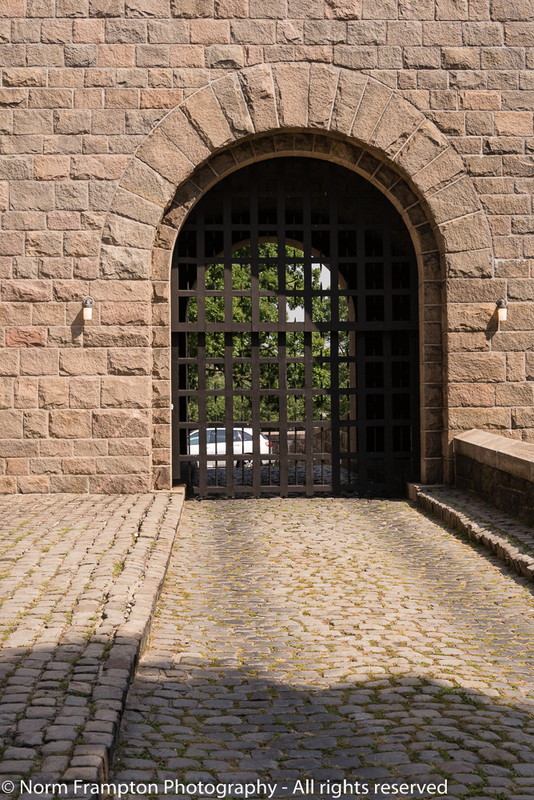 Peaceful natural surroundings, iron gates, cobblestone pathways, stone buildings, and hidden nooks and crannies deliberately carry you back to the secluded monastic life of Gothic and Romanesque periods of Europe. Within a matter of minutes it becomes very easy for the visitor to forget that they’re still in one of the most populated and bustling cities on earth. 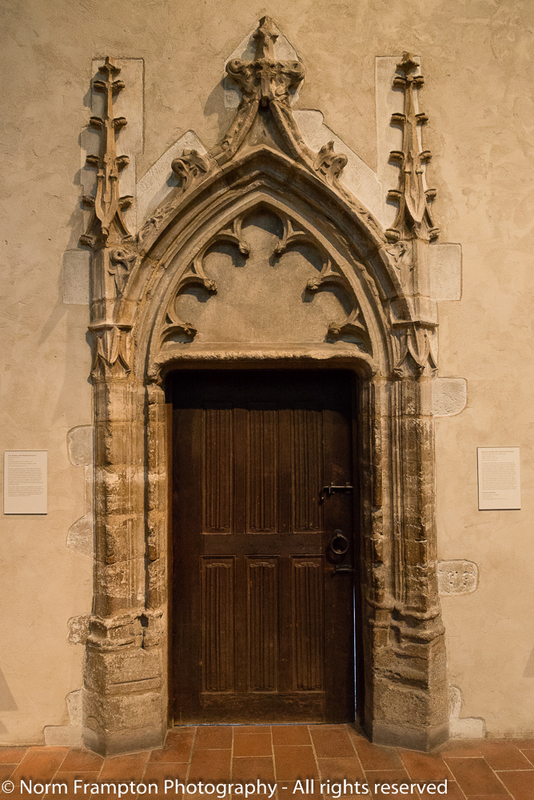 Shall we head on inside and take a look at some of the amazing doors that are part of The Cloisters collection? In retrospect my biggest mistake during this visit was being so agog at the history in front of me that I forgot to take pics of the information signs that accompany each piece. What can I say? I was truly overwhelmed…and with good reason. Keep in mind, that what I’m showing you is simply the doors. Just imagine the sculptures, tapestries, paintings and mosaics, carvings, pottery and other artwork. 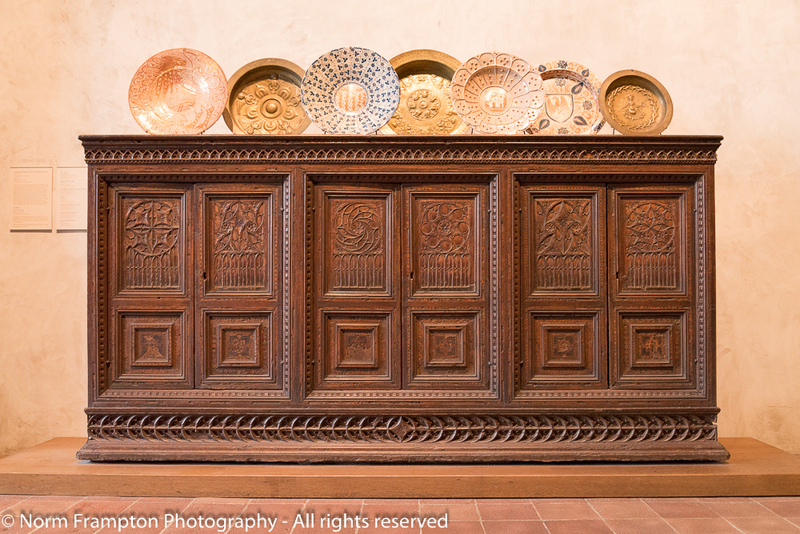 What I can tell you is that each of these is handmade, hand-carved, and dates back at least 450 years. If you appreciate this sort of stuff, then by all means if ever you are in the New York City area do yourself a favor and set aside part of a day to visit this place for yourself. Stay tuned, I’ll have more in part 2 next week. 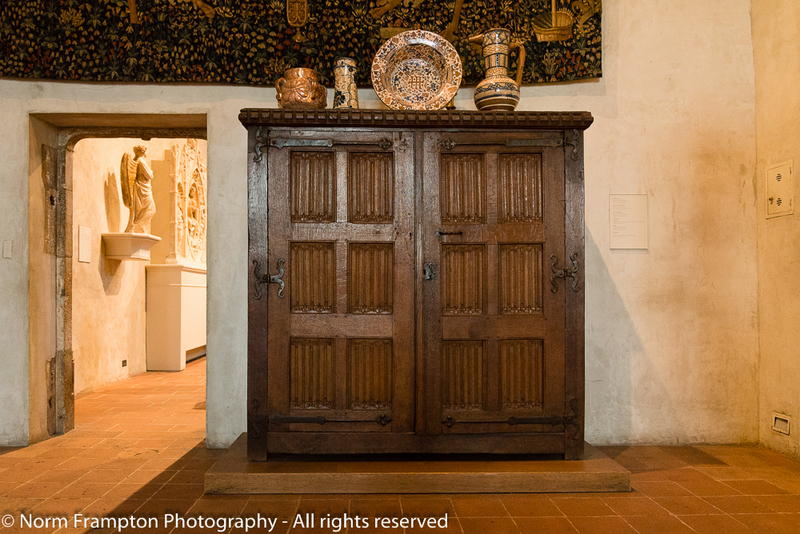 Gallery | This entry was posted in Photography, Thursday Doors and tagged Doors, Historic Architecture, History, Manhattan, Medieval Art, New York City, The Cloisters, The Met Museum, Thursday Doors, Tourism, Upper West Side, Washington Heights. Bookmark the permalink. Norm I’ve never been to New York, but these doors alone would do it for me! These are all so amazing! I love the hardware on them too! Thanks Amy – it’s an amazing place. The third picture in the boy of the post got me. I would SO love to just sit there on the steps and imagine for a few minutes. Awesome! That’s going on my bucket list! Geez… I gotta start proof reading. That was supposed to be “body of the post…” Visiting there would be like visiting Europe without actually going. I felt that way in Quebec City and Fort Louisbourg in Nova Scotia. Next year this time we’ll be in the UK and I’ll actually get to experience some authentic stuff. I’m really glad I stopped to read your post. This was on my list to do and see while in NYC but we ran out of time, and it didn’t look like it was going to be an easy or quick trip to and from from Mid-town to it via public transportation. It’s definitely staying on my list! I’m looking forward to Part II. Thanks Deborah, it’s a bit of a haul to get there so I’d set aside a good portion of the day for a visit. 45 mins each to get there and back, at least 3 hours to tour the place, plus some time to sit and enjoy the views and atmosphere in the courtyard. Those are some fantastic doors! And the photos show texture, lines, frame within a frame. Great! I want a LOVE button! I do love The Cloisters! When my mother took #4 Daughter and me to New York, the one place a absolutely wanted to go was to The Cloisters — and we did. ~happy sigh~ I wrote one of my favorite stories inspired by the visit, specifically by the Unicorn Tapestries there. One of my favorite places on earth. Thanks for these beautiful pictures. Wow! These are just beautiful! 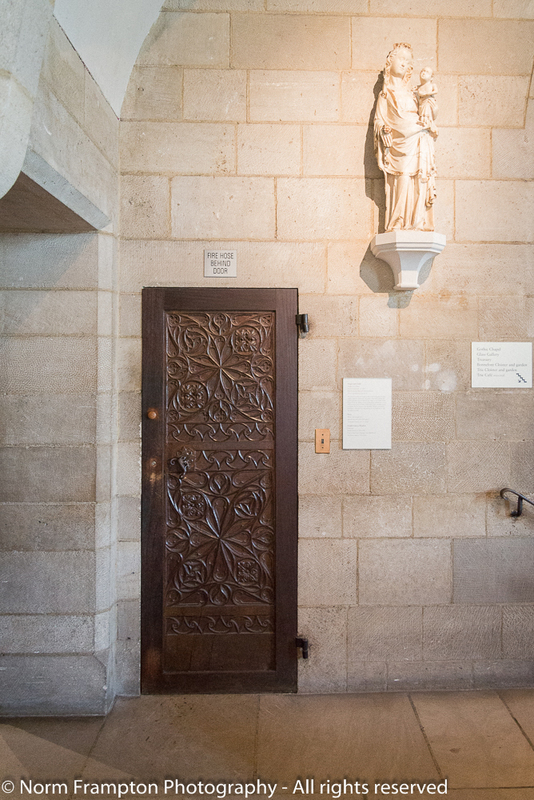 We couldn’t make it to the cloisters during our recent stay in New York. 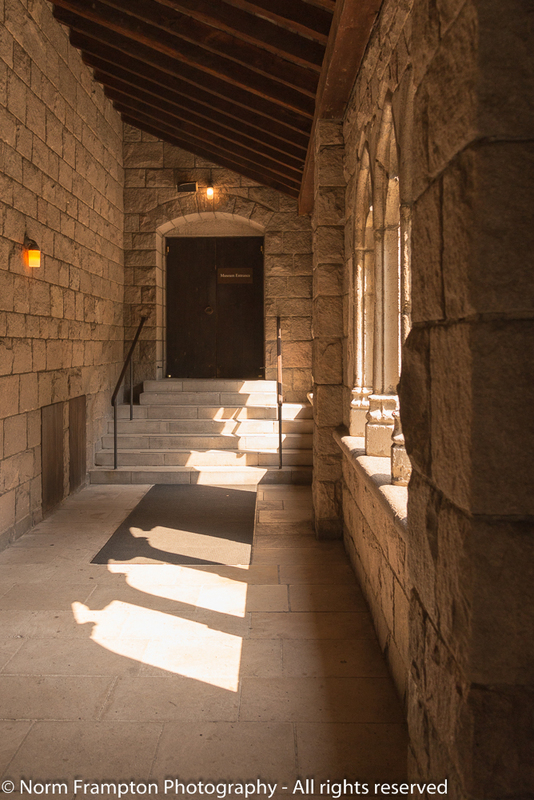 Seeing these photos, a visit to the cloisters is definitely on the to-do list for the next visit to NY. Thursday’s Doors. Kudos – job well done! I did indeed and you are very welcome! Can’t remember if I commented, though this is the second time I looked and for some reason I skipped the last door – what a beauty! I love “old” in general since it has more ambience, and often also skill. So this post is priceless! wonderful place and I can see how one can forget being in bustling NYC. My fav of this post is the second one – the opened iron door with into of red window – so inviting and rich. I had no idea either Helen. I found out about it quite by accident while researching something on the Met Museum’s website while getting ready for our trip to New York. Hi Norm, hope you don’t mind but I’m just testing to see where this comment ends up. I thought so, Norm. And the added problem is that if you get un-spammed and the blogger replies to you, you don’t get an email notification informing you that the blogger has replied. The only way you’ll know is by checking your notification box in the top left hand corner of your blogs dashboard. Such a frustrating problem which it seems only WordPress can fix. Thanks for checking for me. I appreciate it very much. Such a fabulous place, allowing you to step back in time like that. I love that tapestry, too. 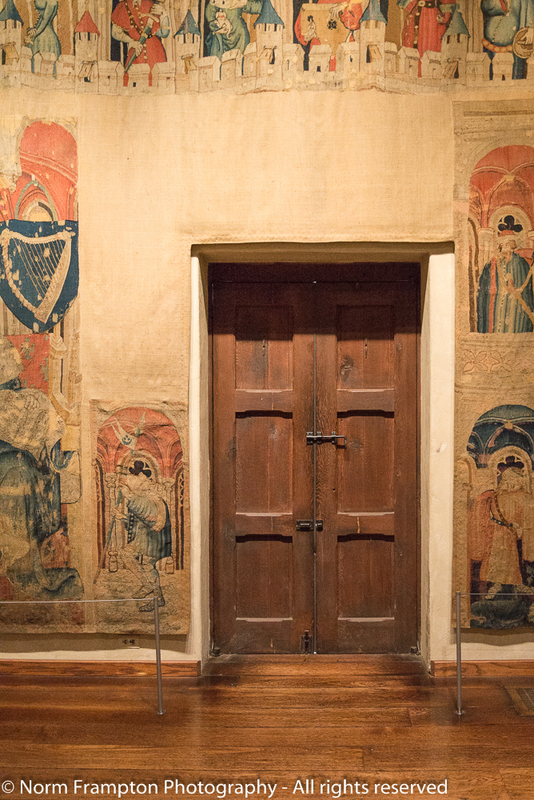 Oh Jean, the tapestries were amazing. Love the carving on that last one! You’ve hit the jackpot here. I really like your gallery of doors this week. Thanks Norm for hosting. Wow. 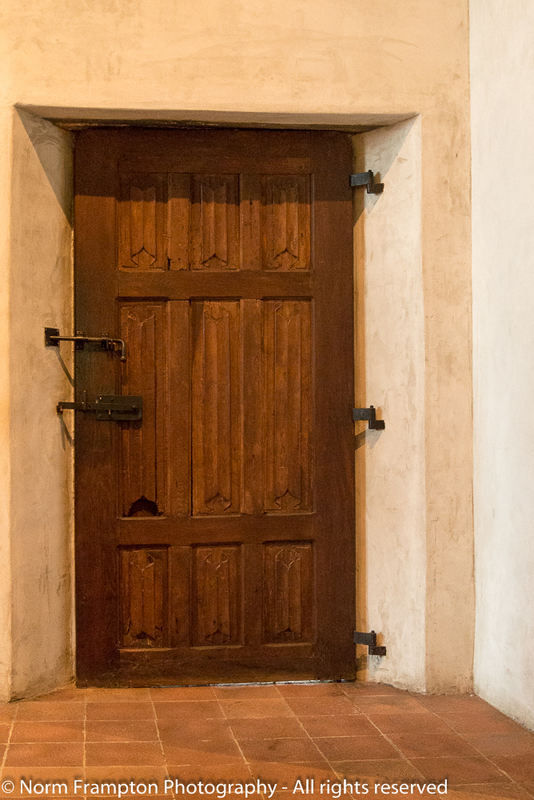 You really found the Holy Grail of Doors! Fabulous! Wow! This is reason enough for a trip to NYC! Thanks. Actually I can think of a whole bunch of reasons to visit NYC including several of their great museums. Fabulous doors, Norm. 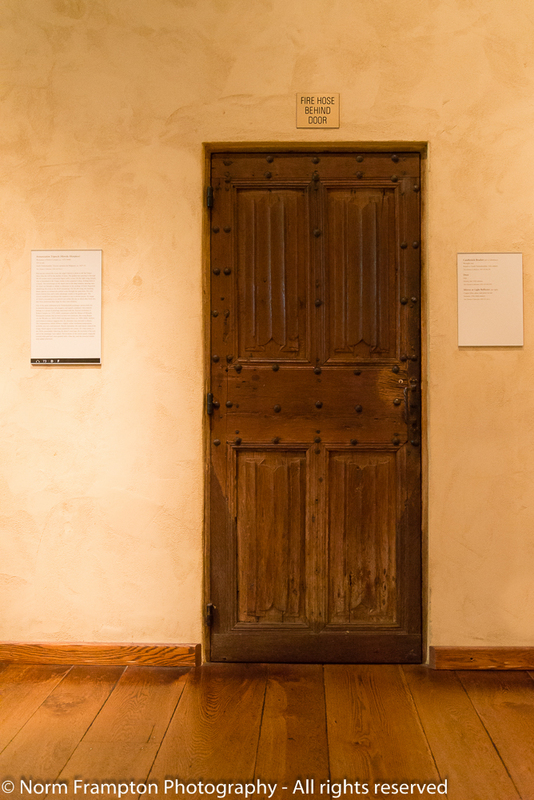 These massive, carved doors have quite an impressive presence. Thanks Donna. No worries, I deleted the double entry. I’m glad you got the link-up figured out. It’s not perfect but it sure is a great way to find everyone’s posts all from one place. Cheers! My favorite door is the one that has the fire hose behind it. Did you open it to make sure? Love these doors and the iron gates. I found out about this place quite by accident myself, but I’m so glad I did. Luckily for us NYC is about a 7 hour drive, or a short flight, so we’re able to visit once in a while. Yes I would love to return! It is like a door wonderland! So many beautiful and intricate doors. Love it:) Thanks for sharing. Thanks Joey. I’m sure you would love this place. For future reference the links go in the link-up list – look for the blue “froggie” button near the end of my post. Cheers! You had me sold at the beginning with the beautiful archways. 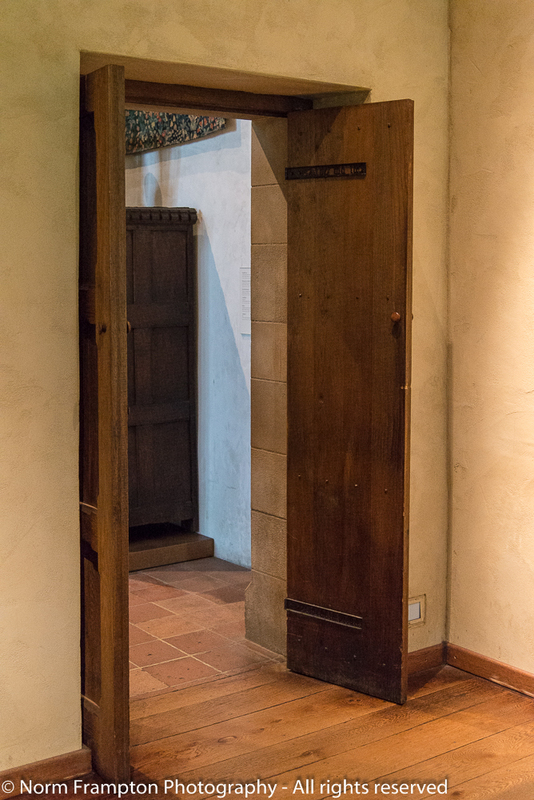 Then you started tossing in those wonderful wooden doors inside! 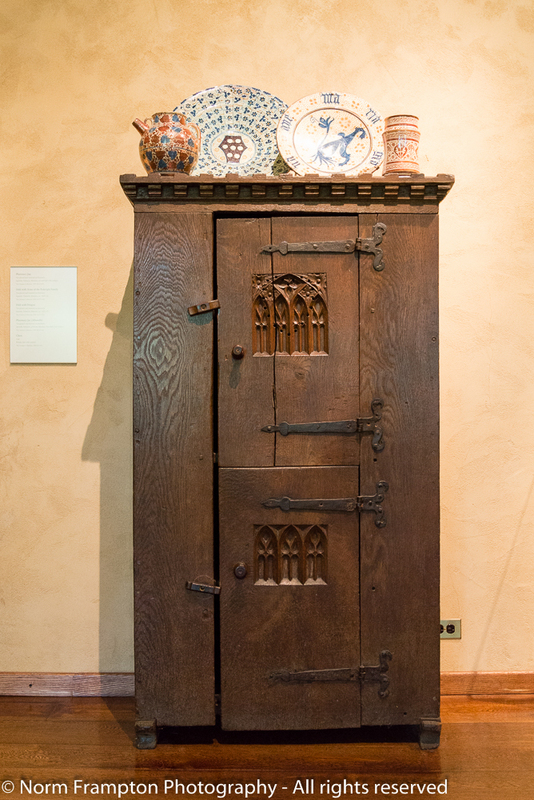 From the tall narrow cabinet 6 photos in with the massive ironwork, to the 4th photo from the end with the very unusual hinges – I loved them all. Was it really as quiet there as your photos suggest, or were you just very strategic in your photo taking? Thanks Joanne. We got there not long after opening on a Thursday morning so it was relatively quiet. Midday on a weekend I suspect might be a different story. I have the luxury of not having to go anywhere on a weekend anymore if I don’t want to. Wow! Those are some beauties. Wonderfully composed and lit as well. Like you said, hard to believe you are in a busy city. Thanks Ed. The museum curators should get all the credit for the lighting – every piece was lit just right. I just boosted the ISO on the indoor shots and was able to shoot everything hand-held. Some lovely doors, what a place that must be to explore! You’ve sold me, Norm. I will manage to get up there on one of my trips to the city. These doors are beautiful, as was the photo you shared in an earlier post. I love the door in front of the fire hose. Such beauty in a utilitarian role. Great photos of a wonderful place. Thanks for sharing these with us. Excellent doors this week. Even if they were transported from Europe, at least they are preserved incongruously in Manhattan! Wow so many doors . . . . . . I do find it fascinating how America loves buying, rescuing and perhaps sometimes ‘borrowing’ architecture from Europe. Guess a bit like how Victorian and Edwardian Europe liked to rescue and borrow from ancient Europe. Thanks Becky. Interesting observation, though I think it could also just be a general human fascination with history and the past. After all there’s a lot we can learn from those who came before us.